Ten lucky homeowners in Brighton and Hove are enjoying the benefits of an eco makeover after having been selected to receive a range of energy saving measures as part of a Green Deal competition to showcase the benefits of the Government’s energy efficiency scheme. Last December the city council and its partners including Brighton and Hove 10:10 and the Low Carbon Trust successfully managed to secure £220,000 in funding through the Green Deal Pioneer Places scheme, which was used to deliver makeovers worth as much as £10,000. The lucky ten recipients were chosen from 100 homes in Brighton and Hove who had signed up to receive a free Green Deal assessment which would examine their home’s energy efficiency to identify how they could save energy to lower gas and electricity bills. The eco homes Green Deal competition saw homes fitted with a range of free energy efficiency measures such as new boilers, low energy lighting and loft and external wall insulation. 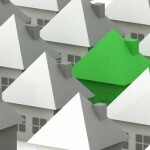 The idea of the Green Deal pilot scheme is to showcase the benefits an energy saving makeover can have on energy bills, and the selected properties will feature in Brighton and Hove’s annual Eco Open Houses event. Homeowners will be required to open up their homes to members of the public so they can see first hand how energy efficiency schemes like the Green Deal could work for them. Commenting on the initiative Flemmich Webb, chairman of Brighton and Hove 10:10, said the project had given Brighton and Hove the opportunity to deliver innovative energy saving projects.